“I should have access to my data because I manage my health care”. Access to one’s data is both necessary and empowering; whether it is for monitoring symptoms during a research study and/or in order to diligently manage one’s chronic disease(s). Other hot topics at TRMS 2015 were the themes of genomic sequencing and Big Data, the latter having been allocated a lot of discussion time at the PRIM&R Conference in Boston (for more on Big Data, please see our blog post on Day 1 of the PRIM&R Conference). How these topics will shape ethics review and clinical research still remains to be seen. One thing is clear however: researchers have much to gain from technological innovations but it is important that they be critical of such breakthroughs while upholding patient and participant protection. Mobile applications, wearables and genetic information have the potential to significantly change the management of healthcare as well as the patient-physician relationship. 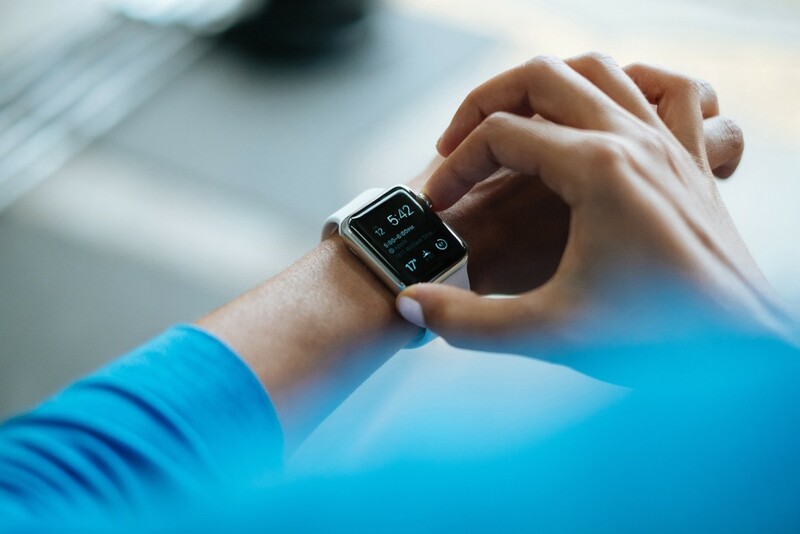 Although, wearables and mobile applications are commonly known for tracking information related to health and fitness, the technology provides for a growing series of applications in medical settings. One example that was presented at TRMS 2015 was the Bant mobile application to improve glycemic control of patients with diabetes. The application, developed by researchers at University Health Network in Toronto, allows diabetes patients to not only track blood glucose measurements in a quick and efficient way with graphs that treating physicians can consult, but also to share their experience with other diabetes patients using a portal on the Bant app called “banter”. While the Bant app was initially designed for children and adolescents with Type1 diabetes, TRMS speaker Shivani Goyal indicated that elderly patients are also very comfortable with and appreciate mobile health monitoring and management. Mobile applications allow patients to be more self-aware of their condition on a regular basis and, therefore to become more engaged in the decision-making to change their lifestyle in order to improve their health. A greater patient engagement in the management of their chronic disease could significantly alter the patient-physician relationship as patients and physicians have access to the same information. TRMS speaker Dr. Paul Kurdyak indicated that mobile health applications could provide a solution to healthcare access problems in Canada, as health monitoring would be self-managed. Therefore patients can identify when they need to seek healthcare services using mobile applications. The access and sharing of data between patients and physicians through mobile applications also alters the traditional management of personal health information. Indeed the question arises: who is the custodian of the data in this context from a privacy legislation perspective? TRMS speaker Timothy Banks indicated that the individual should have the right to control the collection, use and disclosure of one’s personal information, an approach that differs from the current management of one’s personal health information, where the control relies in practice with the custodian of the information. While there is evidence that mobile health applications and wearables can be useful and encourage active participation in individual health management, TRMS speaker Dr. Tracy Stockley expressed that it is less clear if personal (or direct-to-consumer) genomic testing can achieve the same objectives. The initial theory of “one gene, one disease” has long been abandoned and genetic science has proven itself to be significantly more complicated than anticipated. Nevertheless, consumers’ access to their genetic information will contribute to patient’s empowerment towards their health and has the potential to change considerably how physicians and patients interact. The standard of care in 2020 may require primary care physicians to draw information on familial pedigrees and download patient mobile health data. The speed at which technology evolves and data is accessed and shared require researchers and developers alike to act responsibly. Responsibility and integrity were common themes among the speakers at TRMS. Several speakers have underlined the lack of governance, and the potential for breaches of confidentiality and privacy associated with information acquired through wearables, mobile applications, genetic markers and large datasets. While researchers have a lot to gain from innovative approaches, they must think more critically and foresee the long-term impacts of these approaches to the public if data is not used responsibly. While it was discussed that the mobile application industry has no legal obligation or interest in subjecting itself to the oversight of a research ethics board, public trust in mobile health and big data will call for better governance and transparency in research. Commercial big data organizations will have to demonstrate that they can regulate their activities and conduct research in the same responsible manner as academic or public institutions. Therefore, mobile applications R&D corporations will have no other choice but to open up to the scrutiny of independent ethics review. How such review would take place remains to be established. TRMS speaker Paul Kurdyak suggested to adopt a tiered system of independent ethics review based on the nature of the information because “not all data are created equal”. According to TRMS speaker Shivani Goyal, devices will need to be secure at the outset. As for genetic research, scientific literacy, knowledge of ethical considerations and understanding the potential risks of harm are key to the success of mobile health applications and big data research. When there’s trust in an organization, consumers will be willing to share their data. We hope you enjoyed this blog post and our past coverage as well. To stay updated on the latest in bioethics, please remember to subscribe to Research Ethics Simplified ™. This entry was posted in en, TRMS 2015 and tagged big data, digital health, technology, TRMS.